If you donate just £5.00 we can give an extra special lunch to one of our friends who may be on their own or feeling low at Christmas and New Year. Why not make a donation in lieu of cards or as a special charity present if you’re stuck for gift ideas? And lots of games, laughs and fun along the way for a memorable Christmas. In return, we will all toast your health and happiness and you will be able to enjoy your own Christmas that little bit more knowing that you have made someone’s day and given them a great start to the New Year. Vale Park continues to be a real ‘hidden treasure’ here in New Brighton; there’s not a day that goes by that doesn’t see members of our local community enjoying one of town’s best resources. One of the most valued aspects of the work of the ‘Friends’ is arranging an exciting and varied programme of music and arts events throughout the year. Summer Sunday evenings are enhanced by the sound of traditional brass bands, Summer Saturdays offer a wide range of musical events from local musicians, bands and fundraising projects. ‘Joytime’ continues to be the highlight of the school holidays for many of our local families and the Halloween disco this year was one of the best attended in the Park’s history. We were thrilled to have the Council restore our Bandstand to its former glory. Particular thanks to Jeff Sherlock and his team at the Council for their hard work. So many visitors from across the UK and beyond took time to comment on the beautiful flowers and immaculately maintained shrubs and borders. It goes without saying that Cliff, Robbie and Darran, the Parks Area Manager, deserve special mention and grateful thanks for their hard work. Though many of our parks now fly the ‘Green Flag’, Vale Park was the first and earlier this year, the flag was once again proudly raised. A Blue Plaque was also unveiled in honour of Dr Poggi whose New Brighton College was on the site of the Shelter House at the bottom of Magazine Lane; Garribaldi’s two sons attended the College. This fabulous event closed with a concert by the ‘massed’ brass bands. Raising the profile of the “Friends of Vale Park has seen the committee embracing the Council’s desire to form partnerships with local organisations. The ‘Friends’ has been developing a presence on ‘social media’; our Facebook group, VALE PARK – NEW BRIGHTON has nearly 800 members and is one of the UK’s largest ‘Friends Groups’. The core committee is expanding to include representations from ecology and wildlife groups, other community organisations, Vale House, Parks & Gardens, schools etc. We’re aiming to roll out the new committee structure earlier in the New Year and involve as many members of the local community as want to join in. Our first community event, a ‘Leaf Sweep’, saw many locals bring brushes, shovels and fill over 70 large bags with leaves and park debris. It’s been a fantastic year for the Park with more people than ever visiting and taking part in events. Even though winter is upon us, there are still events taking place. Vale House are hosting a craft fair on the 29th November, and the ‘Friends of Vale Park’ annual Christmas event takes place in the Bandstand with the Salvation Army Brass Band. We hope to see you there on the 14th December at 2.30pm. Whilst you may not be able to enjoy the Park during the winter season, things are as busy as ever on Facebook; hope to see you online. On behalf of the Friends of Vale Park, may I wish you a peaceful Christmas and every happiness in 2015. Andrew G Peckham – Friends of Vale Park Committee. It seems amazing that this is the 70th edition of the Walrus Newsletter. We have produced and delivered the Walrus 4 times a year since May 1997.That’s quite an achievement. Many thanks to everyone who has helped and all the best to you all for Christmas. If there is anyone out there who would be able to deliver to a few roads please get in touch – 639 5798. Leave a message if I’m not in. We could do with a bit of extra help! Situated in Vale House, Vale Park, the café is open 7 days a week from 10:00-16:00 during winter months. Guaranteed a warm friendly welcome by front of house staff, hot and cold drinks, snacks and meals are offered at very reasonable prices. The menu includes the ever popular regular and big breakfast, served with toast and tea or coffee. Speciality teas and coffees are available too on request. There are always filled bagettes, with or without crispy chips and crunchy salad; a variety of toppings for jacket potatoes and a selection of sandwiches. Despite the weather the delicious varieties of ice-cream is always in demand. The Orangery makes an ideal setting for small parties and gatherings. Please pop in for a glossy brochure or check details on line: www.valehousecafe.co.uk or email manager@valehousecafe.co.uk. The long standing Lunch Club runs each Monday and Friday, serving a three course meal to around 20 regular members. Spaces are available and transport can be arranged. Call Gloria for further details on 0151 638 2666. Christians Against Poverty is a national and international free debt counselling service from an award winning charity. There are 260 centres in UK with more coming soon. CAP Wirral opened two years ago and almost 100 people have been visited in their own homes and offered help. Currently around 30 clients are working with us; paying a monthly sum into Head office, enabling staff to negotiate with creditors, stopping interest and fees being added to debts and ensuring clients are free from further letters and calls demanding unmanageable payments. A realistic budget is prepared to ensure clients have money for food and all their regular bills and expenses, with attention to saving a little too. In the last few weeks CAP prepared bankruptcy papers for a Wirral client and the local Debt Coach was able to stand with him in court. The paperwork was well prepared by CAP’s specialists and within a few minutes the whole debt was gone. This man had been really weighed down by the burden of £1000s of debt and unable to feed himself or manage his affairs. Now he is transformed; his whole life is calmer and his appearance so different. Another client is so relieved CAP were able to stand with her in court to hear her debt has been removed by a bankruptcy order and yet another client had CAP set up an IVA for her. With Christmas approaching all our client’s children will receive a chocolate advent calendar with the Christmas story and hampers appropriately filled, will be given to all families. Thanks to the generosity of a Wirral Church, everyone is invited to a special evening, celebrating with a splendid buffet and a renowned Wallasey singer/songwriter performing, along with showing the newly released Billy Graham film, The Cross, which features testimonies of transformed lives. A recent application to the Veolia Environmental Trust to refurbish the paths, fencing and planting areas at the Gorse has been successful! Groundwork Cheshire who secured the funding are now getting quotes from reputable landscape contractors to carry out this work. Work is due to start in the New Year! Are you an organisation, business looking for premises? Very competitive prices; £10 hour; we will beat any price! Oh yes it really is December, and Christmas really is only days away! Looking back to this time last year I might be expected to show some caution in my predictions for the Black Pearl over the coming months of storm and tempest. But no! 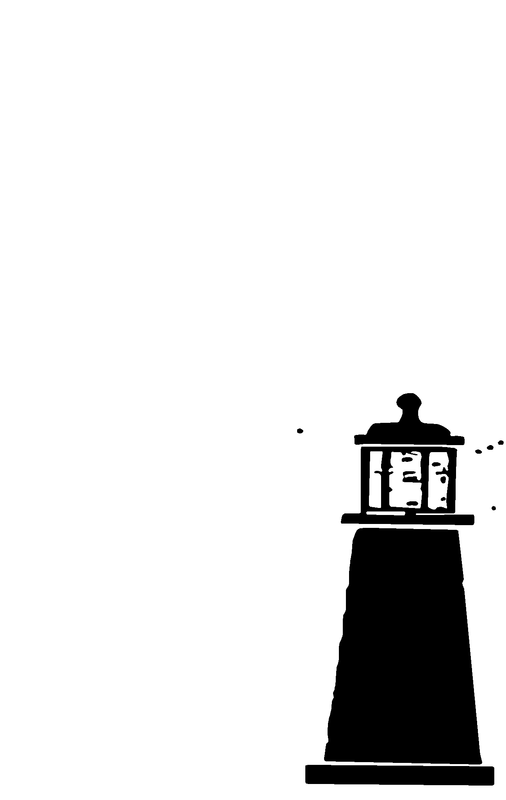 The Pearl is more than a tangle of frayed rope and well-travelled timbers – she is Spirit now – she has the spirit of this bold and vibrant community of New Brighton within her. Voyages there will be, exotic, magical, fruitful and – at times, no doubt, totally unpredictable! But Christmas now and a good time to say thank you to all those who have contributed in so many ways, over these two wonderful years, to the creation and the development of New Brighton’s Black Pearl. These contributions have been in the form of hands-on toil, in gifts of materials, gifts of thoughts and encouragement, gifts of hope and optimism, through friendship, turning out in the rain and the cold, in being there, in trying (and not always winning! ), in enjoying our unique community creation and sharing those pleasures through our stories and photographs. Even that list isn’t exhaustive – a chocolate doubloon to anybody who names something I’ve missed! We have had some great times over recent months. The Legend of the Black Pearl Exhibition at Marine point was very well received and attracted much attention. Many thanks are due to the Momentary Art Project for facilitating and launching this exhibition, and to all those who gave so freely of their time and energies to create this piratical fantasy island in New Brighton’s commercial heartland. Special thanks to Tracey Carmen and her wonderful young singers for their singing in the rain! The Black Pearl Bonfire party was a great success. All thanks to the many people who came to celebrate Bonfire night by the Pearl – so good to see people of all ages gathered on the beach and along the prom enjoying this wonderful family evening together. Thanks to those who most generously added to the pleasure of all by helping with the bonfire and donating some amazing fireworks. As we would expect the Black Pearl crew were happy to be lighting touch papers and creating some very loud and colourful explosions! Looking forward to Christmas I hope that this year the Beach Nativity will not be confounded with The Flood! I am confident that there will be one or two happenings around and aboard the Pearl in the weeks ahead. New Year will need to be seen in, and let that be in the traditional manner befitting New Brighton’s piratical community! I hope that we are blessed with fair wind and weather as the Pearl carries us gracefully into 2015. The voyage of 2015 will be every bit as mysterious, exciting, inexplicable, frightening, joyful and rewarding as the imaginations of several thousand children, of whatever ages, can make it! 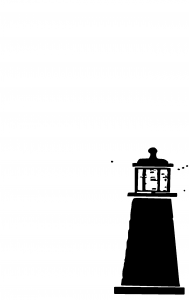 We go forward into this year of possibilities with the hope, the wish and the expectation that our beloved Black Pearl will triumphantly ride the inevitable storms of 2015 – maybe, with a little help from her many, many friends. During the autumn, eagle-eyed residents of New Brighton may have noticed a friendly invasion of young people – armed with cameras, notepads and clipboards – intently studying the buildings of our community, particularly Victoria Road. These welcome visitors were students from Liverpool University’s School of Architecture. They spent many days buzzing around the area. St James’ church is of course the road’s largest and most historic building, and was therefore a real focus of interest for the students. Because the New Brighton Heritage Centre is now based in the church, which means it is open seven days a week, the students were delighted to find they had virtually unlimited access to the building to study and document it in detail. They were also fascinated to hear about the restoration proposals for the spire. In fact, as a result of the contact, it has been arranged for the students to visit the site when work on the spire is underway, so that they can study a restoration project at close hand. Talking of which, a specialist contractor will shortly be appointed to undertake the work, which should begin in the spring. The rebuilding of the spire should be a major sight and talking point for much of 2015! We will be holding a coffee morning on 16th December from 10.00am until midday. Magill’s nursery will be bringing festive plants for us to sell & we also have a selection of Christmas cards & calendars for sale. For just £1.50 you can buy a strip of five of our new self-adhesive stamps at many local shops (just 30p per stamp). Look for the yellow poster in the shop window, or ask. This year we will also be selling stamps at Morrisons, New Brighton on the launch day, 22nd November and also the following three weekends up to Sunday 14th December. You must post your Christmas cards in the red or green post boxes in the shops, and remember that we only deliver to the Wirral, including Wallasey, Birkenhead, Bebington, Hoylake, West Kirby, Heswall to Neston, Puddington, Willaston, Hooton and Eastham in the south, and everywhere in between, but not to Little Sutton, Ellesmere Port, Chester or Liverpool. Christmas cards will be delivered during the weekends of 13th /14th and 20th /21st December, but please post your cards early as it takes up to a week for the volunteers to get the cards to the people delivering that road . LAST COLLECTION is NOON on WEDNESDAY 17th Dec. Charities this year include Age UK; Samaritans; Blind Sailing Organisation; Clatterbridge Cancer Charity; Narrowboat Trust ; Newborn Appeal; St Vincent de Paul and others. 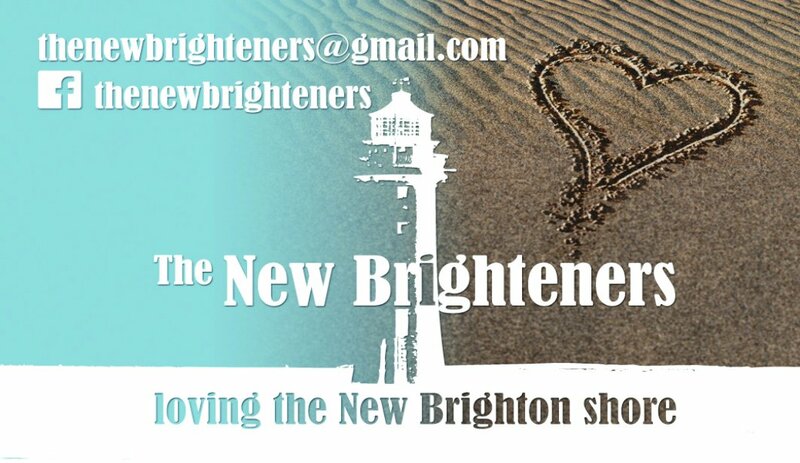 The rise and fall of New Brighton. When James Atherton and William Rowson came to Rock Point in 1830 the aim was to emulate the southern resort of Brighton. Their focus was health, tranquillity and exclusiveness. Over the next twenty years while shops, hotels, terraced streets and public houses were built, so the villas for the wealthy were tucked away on the coastal cliffs with clear views towards the Irish Sea. By the end of the 19th Century though, their vision had transformed into a New Brighton that was popular with working people from all over the region. It was affordable and reachable for all and also nationally renowned with Dickens and Jerome K Jerome writing about it, mentions in national publications and even Conan Doyle making it the location of a murder. 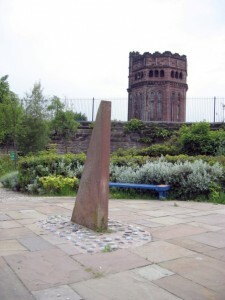 In 1899 the New Brighton Tower opened and was the tallest structure in the country, a symbol of progress and reflecting optimism for the future. Subsequent years saw the Tower Grounds host a feast of entertainments. Cowboys, Indians, African villages, musical extravaganzas, menageries, air balloons and countless visiting entertainments added to the onsite dancing, skating, theatre, orchestra, zoo, railway – endless excitement and recreation. Despite the demolition of the Tower in the1920’s, the resort’s popularity continued. Holidaymakers and day trippers poured in by coach, train and ferry. The ferries alone are said to have brought 37 million people to the town. In the 1930’s Europe’s largest outdoor bathing pool and a marine lake were built with the promenade extended for two miles. More would be added to existing amusements, theatres, cinemas, parks and gardens. But the outbreak of war brought an end and though the resort stayed busy into the 1950’s its hey-day was past. By the 1960’s signs of decline were evident and the fire which destroyed the Tower Ballroom in 1969 cast a long shadow. The ferries ceased in 1971, the pier was demolished in 1978 and by the early 1990’s the pool had gone. For those who did visit it was hard to overcome a sense of loss. But now the tide has turned. The £75 million investment on the seafront has changed everything. People flock to New Brighton again for shopping, entertainment, daytrips and holidays. There’s a vibrancy not known for decades and every indication of more to follow. 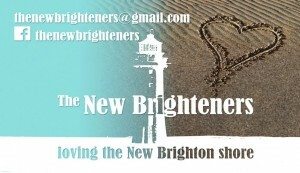 The New Brighton Heritage Centre is now situated in St James Church,Victoria Road and is always worth a visit. It’s staffed by volunteers every day, provides a wealth of local history information and an up to date compendium of what’s on. If you want to get involved in helping then phone Rusty Keane on 0151 639 5798 (the Centre opens Mon – Sat 11am – 4.00pm and Sundays 11.00am – 3.00pm). 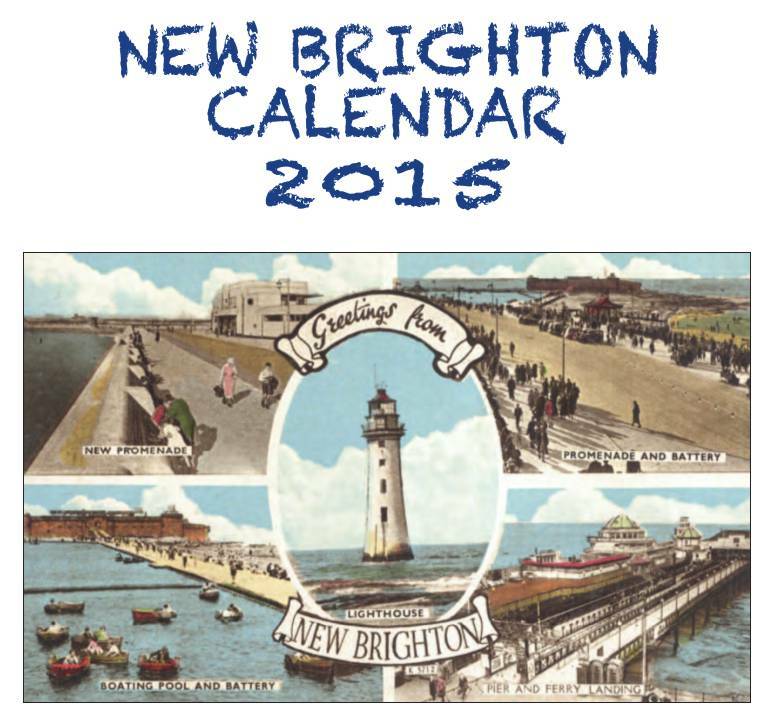 New Brighton posters, postcards and memorabilia packs are available at the centre now. Come and have a cup of tea , have a look at the information we have displayed and, perhaps, watch one of our local history DVD’s. We look forward to seeing you. (Barry P Humphreys who wrote this article is a local historian who – amongst other topics – delivers talks on the development of New Brighton and also provides summer walks for the Heritage Centre – contact him direct on 0151 691 2151). All are welcome please come along and join us in the celebration of the birth of Jesus this Christmas! Refreshments available in Vale House Cafe. 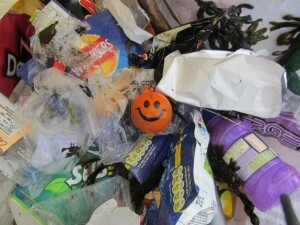 Every bit of plastic ever made is still in existence….. Plastic items make up the vast majority of marine litter and never truly break down…. 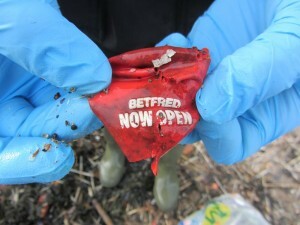 It is estimated that there are about 2000 items of rubbish for every kilometre of UK beach…. You have choices: ignore it, moan about it but do nothing or try to do something about it. The latter is what The New Brighteners (TNB) are all about. 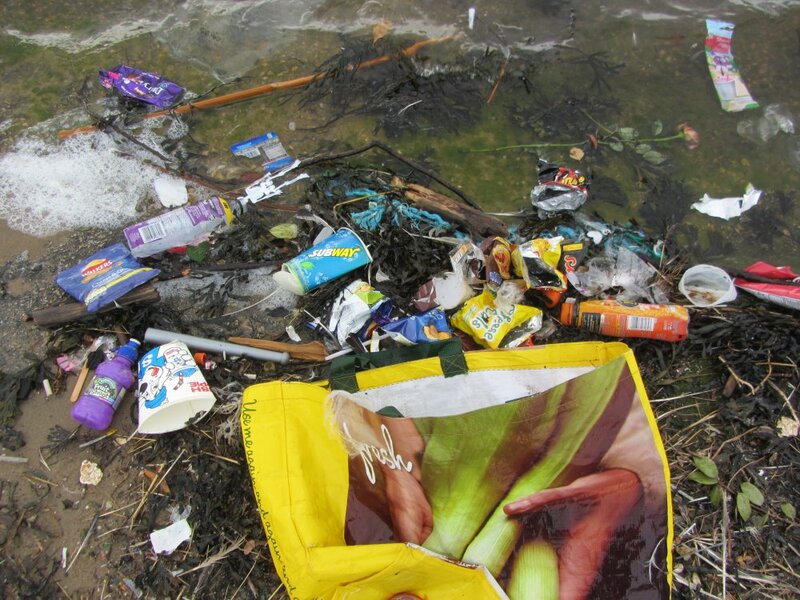 Formed in August 2013 from two separate beach litter-picking initiatives, one of which has been doing regular beach cleans for over 5 years, TNB are tackling beach litter on an almost daily basis. Over the last 12 months, TNB have; secured two funding grants (Love Wirral and Wirral Bright Ideas) which have enabled them to buy more basic litter-picking equipment and Hi-Viz vests; have members actively engaging with Wirral Council via the recently established Constituency Groups; have worked with other local voluntary groups such as, The Black Pearl, Friends of Vale Park, Egremont Festival, Peak Pursuits, and the Momentary Art Project; have campaigned to increase Biffa’s litter collections during the Summer season; did a beach litter-pick with a group of local scouts, and have started a school education project, and are currently working on a project to encourage local fast food outlets to replace Polystyrene food containers with more environmentally friendly products, and with Wirral’s Coastal Rangers, organised an ecology walk for TNB members. But it’s not all good news. The last organised beach clean of 2014 took place on Sat. 1st November. 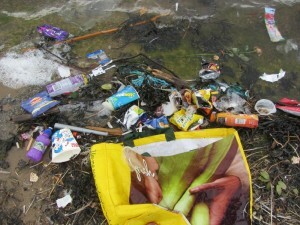 Four members of TNB spent close on 2 hours cleaning one area of the Marine Lake BUT, by the next day(!) it was deep in plastic rubbish again. Most of it, probably, had been discarded carelessly on the landside promenade and had blown into the Marine Lake. This can be quite dispiriting, and raises the question: how do you tackle the, ‘don’t give a **** attitude of so many members of the public. It’s a big question, and education may be the key. Littering is anti-social behaviour, but If you could change the thinking of the next generation, you might begin to see changes in all sorts of areas where other anti-social behaviour seems endemic. This is why TNB are hoping to do more school-related projects in 2015. Asked why TNB engage in beach cleaning, the answer is plain and simple, ‘We love the New Brighton beaches, and the ocean environment’. Simples! Christmas seems to come round more and more quickly year by year. It comes complete with all its opportunities and all its dangers. Charles Dickens’ novel A Tale of Two Cities starts with the words, ‘It was the best of times; it was the worst of times.’ Christmas is a bit like that. On the one hand people who are lonely or needy can feel lonelier and needier than ever and it is a well established fact that the suicide rate always goes up at Christmas. Yet it can be a wonderful time. It can bring a sense of peace and joy into life in a quite unique way. So how can we ensure we experience the best that Christmas can bring rather than the worst? For a start Christmas is always best if we remember that Jesus is the reason for the season. There is bound to be a church not far from you. The odds are that it will offer a wide range of Christmas services, both traditional and informal. There will be carol services. There will be a range of Christmas Communions. There will be all sorts of Family Worship. There will be a variety of social occasions. Christmas will always be richer and better if we join in. So Christmas is a good time to send a donation to Oxfam or Christian Aid or Save the Children or to any of the wonderful organizations which work so hard to make the world a better place for the many who are in want. Or perhaps you can think of someone whom you could invite into your home for a Christmas meal – an elderly relative or a neighbour living alone or a friend who has been bereaved or may have a miserable Christmas because of some other problem or difficulty. Can I make you a promise? You won’t lose out by this. Jesus said ‘ It is more blessed to give than to receive’ ‘Blessedness’ is the Bible’s name for deep happiness. Jesus promises that we have much more chance of real deep happiness if we are givers rather than grabbers. It’s all part of the message of Christmas. Don’t miss out on it. 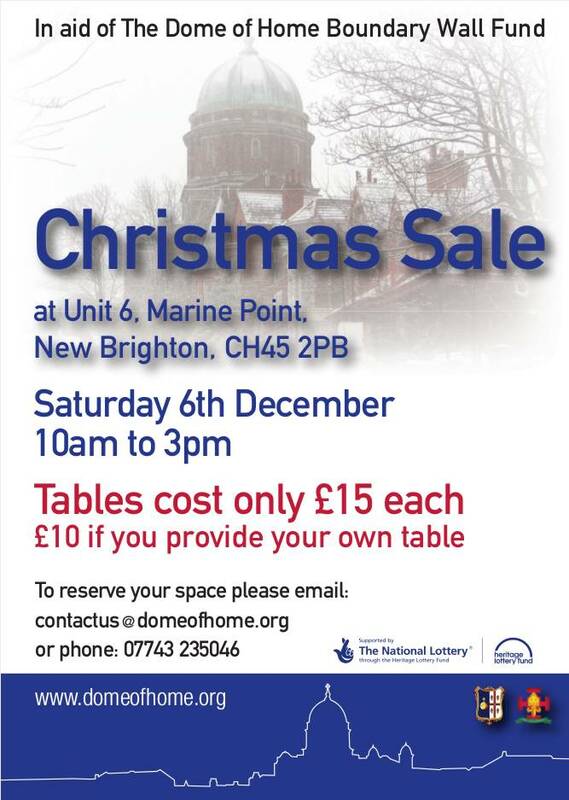 Service at New Brighton Baptist Church over the Christmas period.